This project explores our feelings and attitudes towards crows. While some see them as thieves and pests, others revere them as almost magical beings, possessing of special powers or abilities. 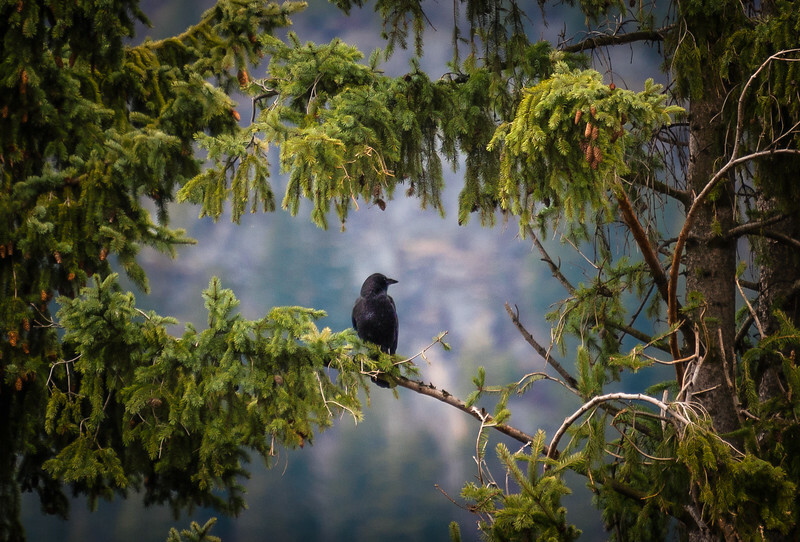 A handsome crow rests in the boughs of an evergreen.